What Was The Best Race Car From 2015? Most racing series’ seasons are either ending this weekend or already done. We’ve seen everything from bold new ideas to clever ways around the rules this year to cars that just made us smile. So, tell us: what was the best race car for 2015? Admittedly, I’m an enormous Porsche homer, so I’ll get the first example that came to mind for me out of the way: the Porsche 919. Porsche set out to win the 24 Hours of Le Mans with their endurance racing prototype comeback last year, and fell short of the mark. This year, they finally did it with a car that’s been lightning quick all season long. 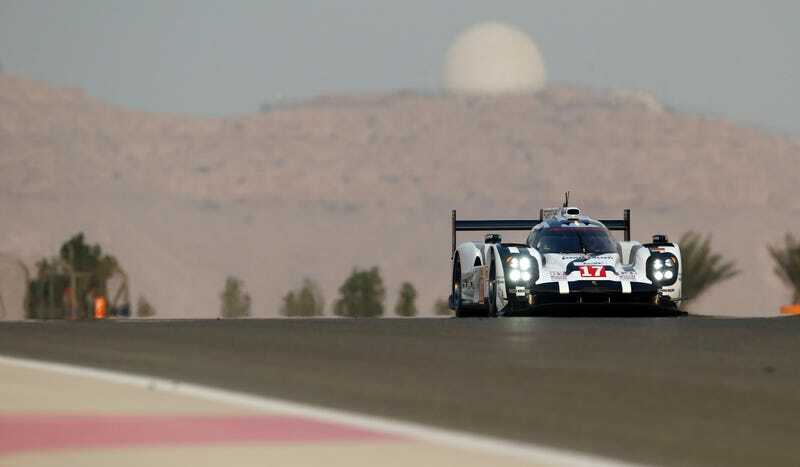 The 919 is on pole for the World Endurance Championship’s final race at Bahrain this year, and there’s a good chance that they’ll win the drivers’ championship. They already sealed the manufacturers’ LMP1-class title for Porsche at the 6 Hours of Shanghai. For every single WEC race this season, a Porsche 919 has been on pole. That’s insane. One measure of “the best” is winning, for sure, and you have to feel like Porsche’s been saving the fancy currywurst for moments like, well, every single race from Le Mans onward. As we head into the last big weekend before a long, sad off-season, here’s our question of the day: what was the best race car of 2015?